Pager charger 9 - check them out. 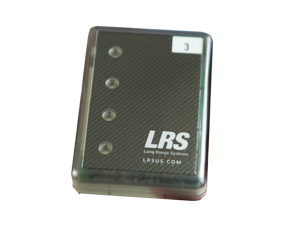 Pager charger 9 for the LRS SP4 and AT4 Adverteaser paddle pagers. 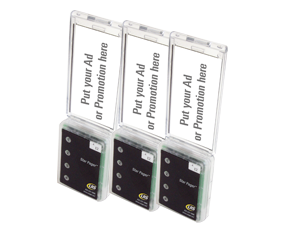 The pager charger 9 is used for our waiter pagers SP4 model, our adverteaser pagers also work in this charger unit. Our charger 9 is the charging station for all Service Pagers (SP4) and AdverTeaser Pagers (AT4). Each charger 9 can hold up to 5 pagers. Charging is accomplished through nickel-plated charging plates located inside each slot of the charger 9. 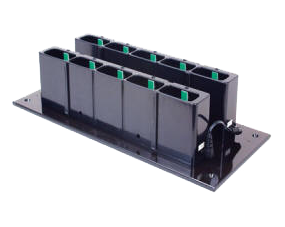 Each charger 9 has two jacks for cascading multiple chargers together using the 1" jumper wire included. Because charger 9 stations are cascading, they only require one power outlet minimize space requirements. With our optional base plate this charger 9 can be mounted on the wall to reduce space even further and of course can be linked as shown.